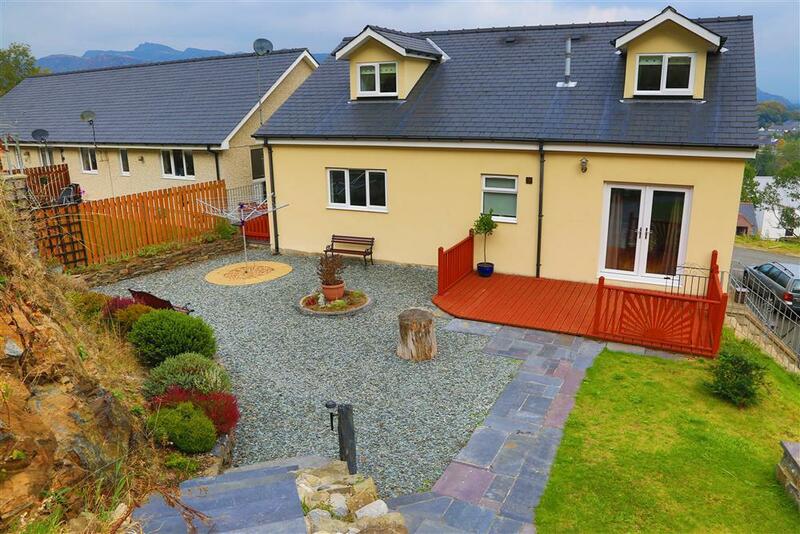 Dizzy Heights is situated in a quiet residential area above Porthmadog with far reaching views across the valley to the oak covered hills and the magnificent mountains of the Snowdonia National Park. 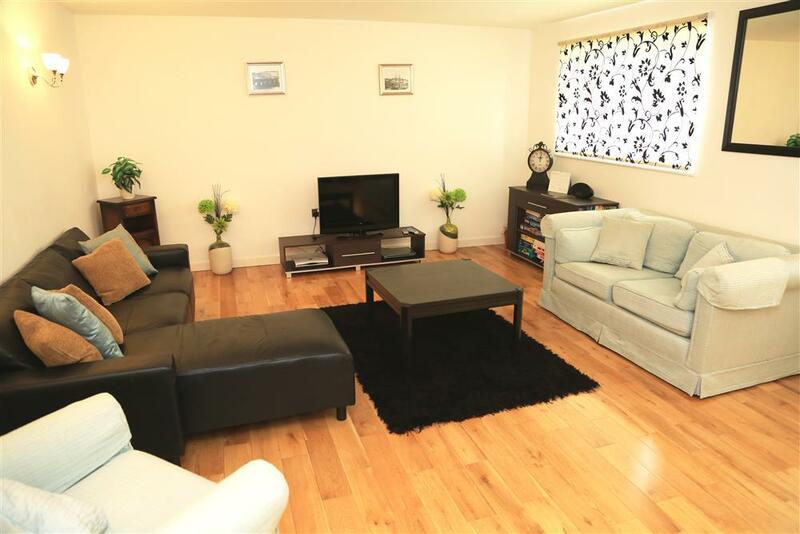 This modern house is on 3 floors and has lovely spacious rooms, beautifully convenient designed kitchen and 4 shower/bathrooms making it an ideal home from home location for a family get together - or it can be prepared as a 2 storey accommodation for a family of 4 to 6 people at a reduced rent or even prepared as a 1 floor Garden Penthouse flat for the more discerning couple. 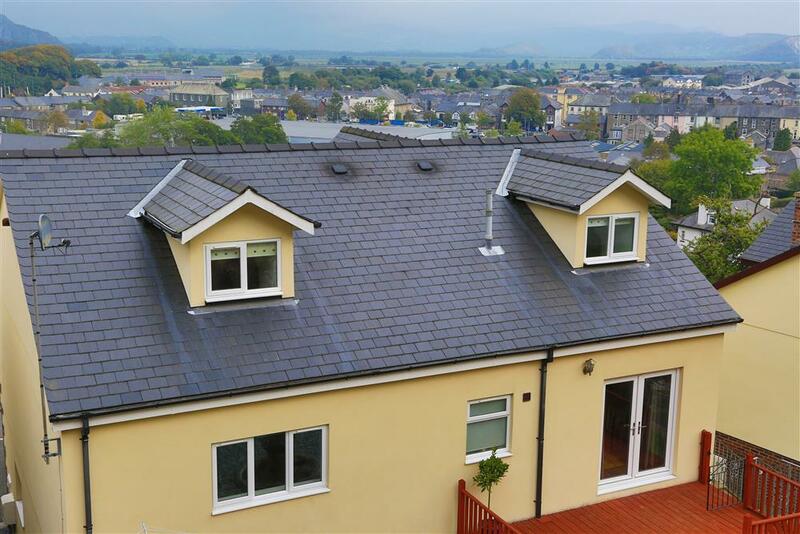 There is a large garden with a BBQ and furniture to the rear, and parking for up to 3 cars to the front with garage It is situated on a hill within walking distance of the High Street in Porthmadog for a variety of eating places, inns and unique shops. The Ffestiniog Railway harbour station is located at the other end of town (15 min walk) for a scenic ride up the valley or to just look at the steam trains on the Spooner's Bar platform. Portmeirion village (2 mls) is a must do in the area. It is a lovely day out visiting the gardens and admiring the delightful Italianesque buildings and stupendous views. In Porthmadog there is also a playground and leisure centre. Excellent local sandy beaches at Borth y Gest (1 mls by car) and Black Rock Sands (2 mls). 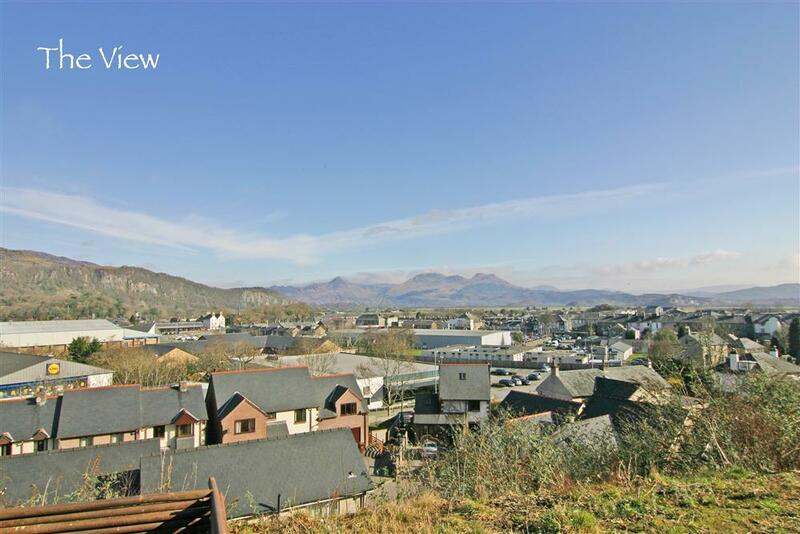 Porthmadog is a popular central location for a relaxing holiday in North Wales combining sandy beaches, walking up hills and mountains and visiting Snowdonia's famous landmarks, attractions and castles. 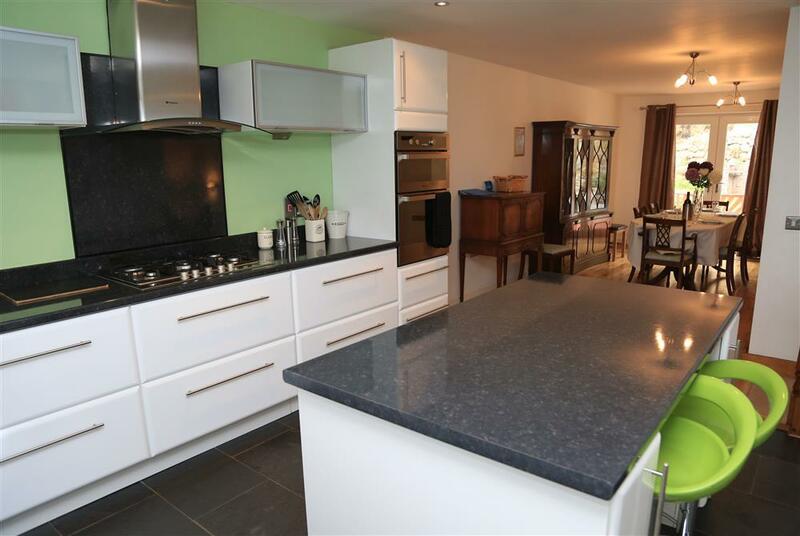 Out of school holiday weeks, this property can be booked as either a 1, 2, 3 or 5 bedroom house. During school holidays, only the 5 bedroom price applies. Reduced rent is offered outside the school holiday weeks for 6 people using only the 3 main bedrooms (not the top floor), 4 people using only 2 bedrooms (only lower ground floor bedrooms) and for a couple wanting just the Garden Penthouse only, there is a 20% couple saving on the 3 bedroom price. 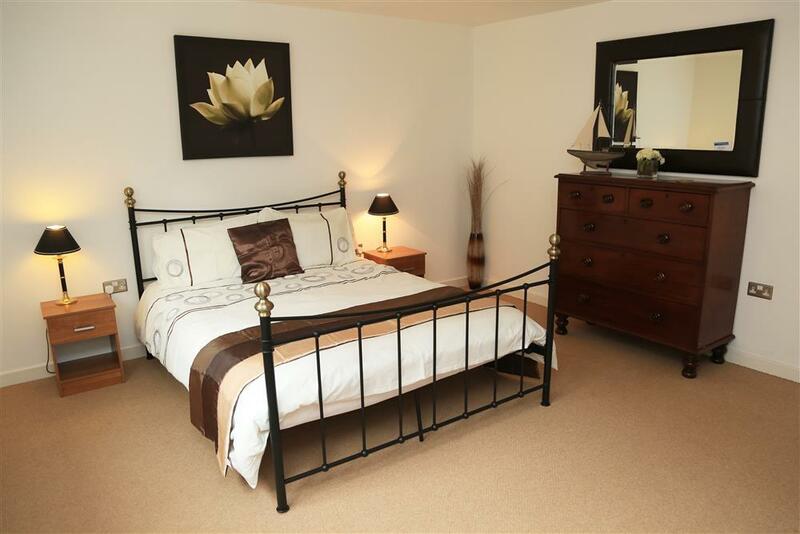 3 MAIN BEDROOMS: 1 spacious Master Kingsize bedroom on the 1st floor (Bedroom 1). 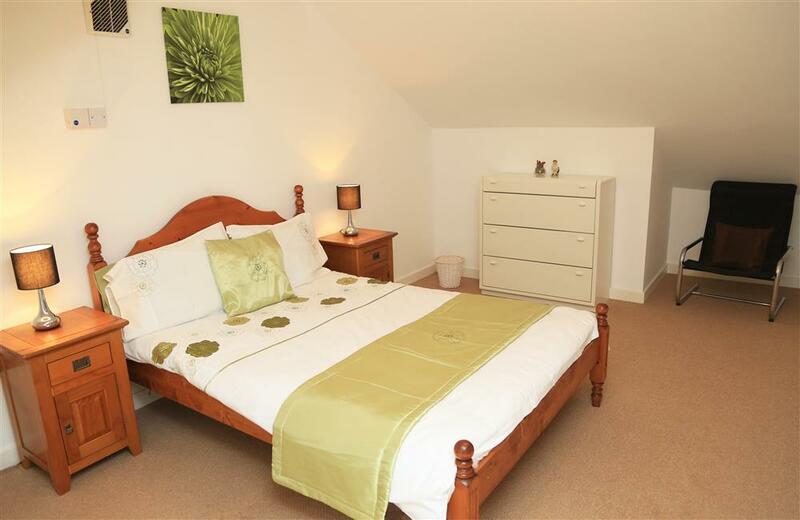 2 Double bedrooms, both with en-suite shower room/WC on the ground floor (Bedrooms 2 & 3). 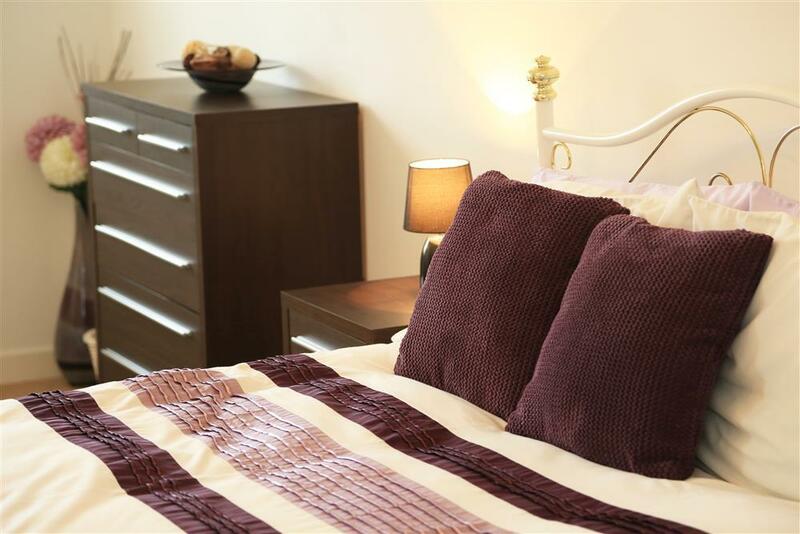 2 ADDITIONAL BEDROOMS: 1 spacious room with a Double bed & 32" TV on the 2nd floor (Bedroom 4). 1 bedroom with two single beds on the 2nd floor (Bedroom 5). Bed linen provided, please bring your own towels. 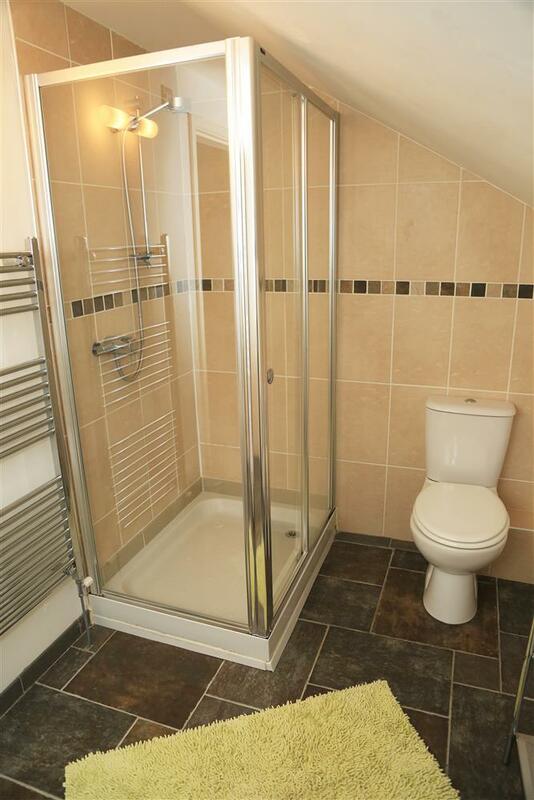 BATHROOM/WC on the 1st floor. 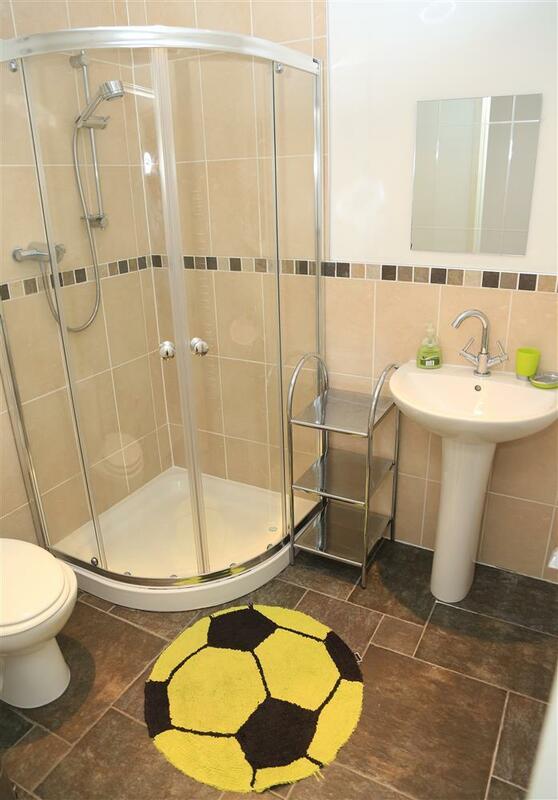 SHOWER ROOM/WC on the 2nd floor. 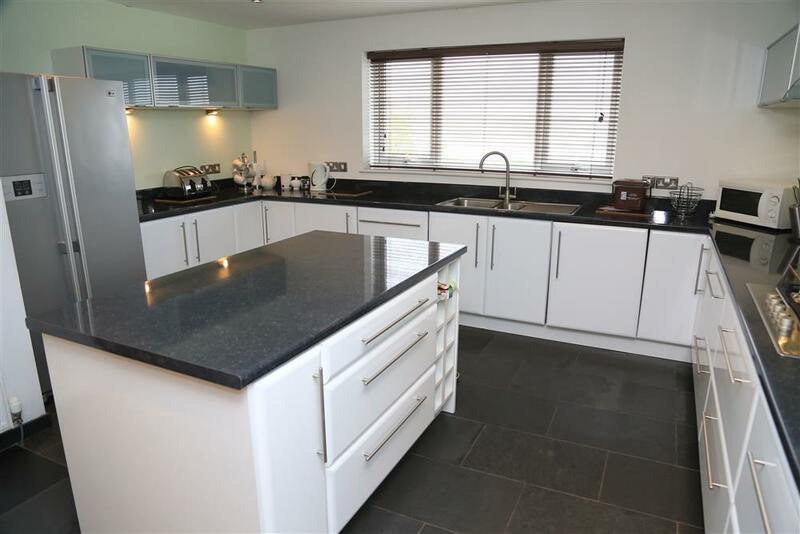 KITCHEN/DINER: Beautiful kitchen units with an island unit, 5 ring gas hob, electric oven, fridge/freezer, microwave, washing machine, dishwasher and a kitchen sink with views across the valley at the mountains of Snowdonia. 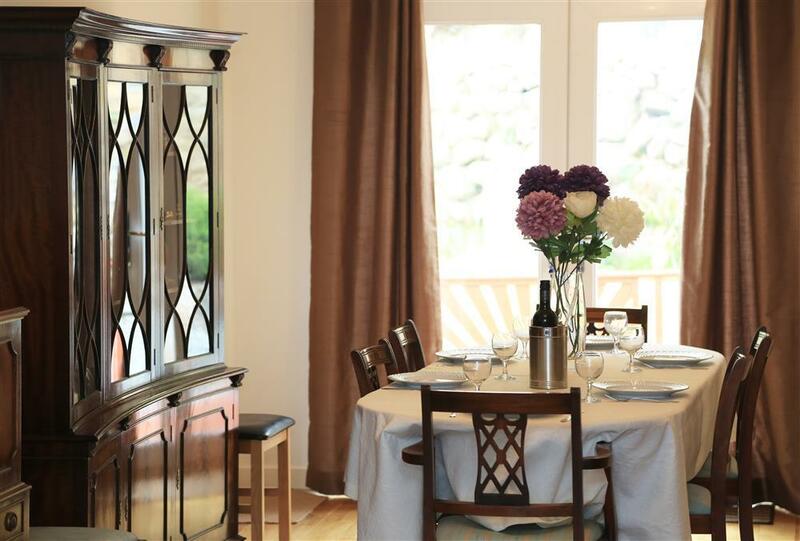 DINING AREA: with large dining table to seat 8 adults comfortably (or 10 if there are children). There are French doors to a sunny patio and elevated garden (not suitable for unsupervised young children). LOUNGE: Views of the mountains, ample seating and large flatscreen Freeview 50'' TV, DVD player. Central Heating, Electricity and Gas included. GARAGE: Parking for 1 car in the garage and 2 cars on the forecourt. GROUNDS: To the rear there is a decked patio area and lawns, BBQ and patio furniture. The garden is accessed from the 1st floor level of the house and there are steps down to the ground level. We recommend not allowing young children in the garden unsupervised. NEW: Property now has unlimited broadband and BT Sport. 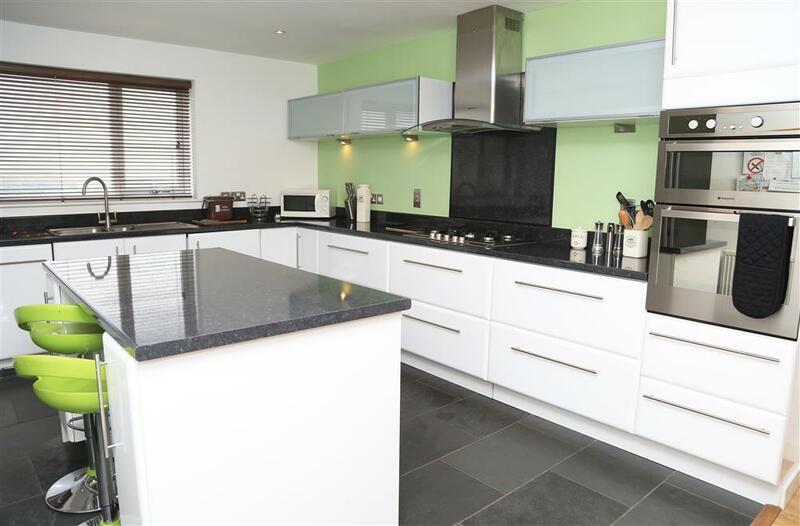 ACCESS: Please note that this property has 2 en-suite bedrooms on the ground floor, the living accommodation, kitchen, 1 bedroom and family bathroom on the 1st floor and two bedrooms and bathroom on the top floor. Access to the back garden is from the same floor as the living room. Please read the access statement if you have less abled members of the party. NOTE: There are 2 stair gates and a high chair at this property. Mini-break rules: A mini-break is a holiday for less than a week and/or may start on a day which isn't the normal changeover day. This property owner will only accept mini-breaks at medium notice of 14 - 21 days between Easter and October Half Term. Outside of this time, mini-breaks are bookable 56 days before the holiday. Mr W (January, 2019): "Lovely property, good location and views, warm welcome with bubbly mince pies and fresh flowers. All amenities within a 5 or 10 minute walk." Mr D (October, 2018): "Fabulous properly, great location with views of the mountains and town. Location, location, location!! 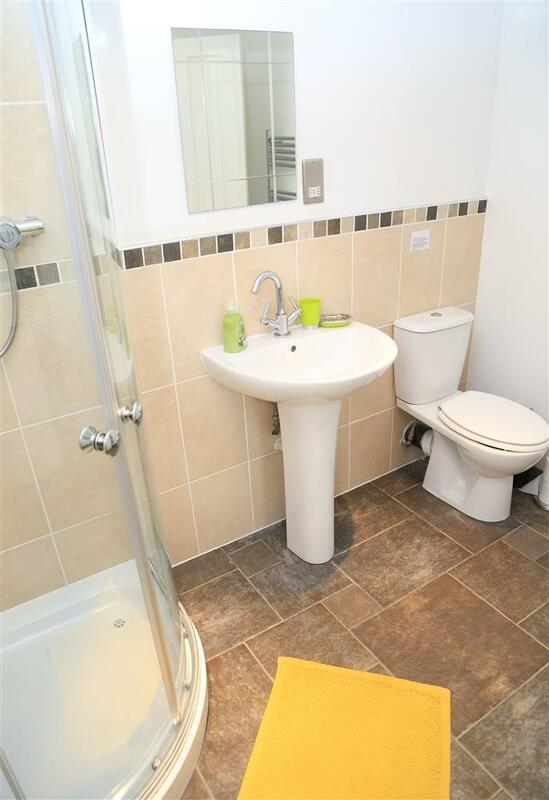 Very convenient for shops and local amenities, and on foot. 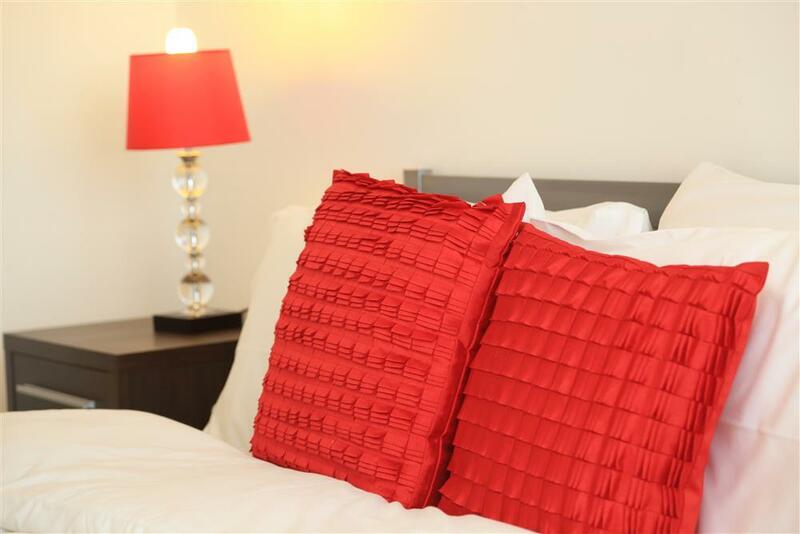 Close to the harbour and easy access to lovely nearby beaches. 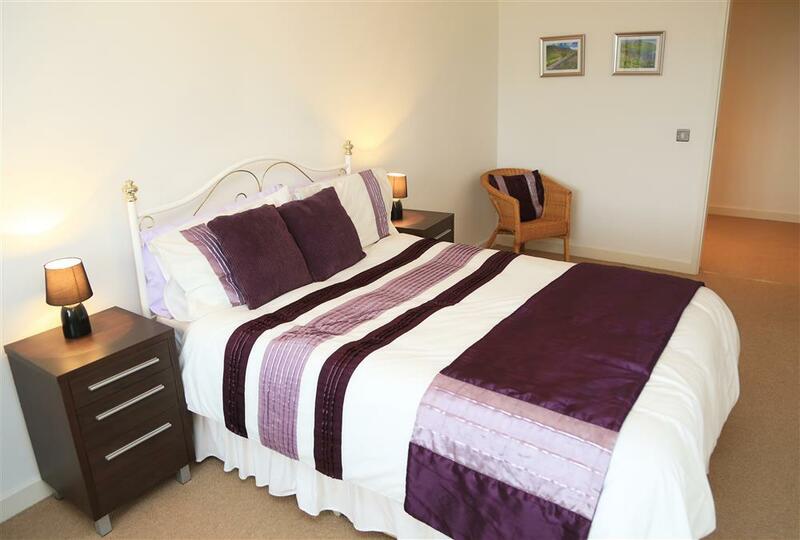 Ideally situated for access to walks and cycling in and around Snowdon and the Llyn Penisula." M Family (Sept, 2015):"We'd run out of superlatives to describe this holiday. What a wonderful house! Why does it not have a 5 star rating? What more could be needed? So spacious, cosy, clean and well equipped. Such views and what a warm welcome with flowers, welsh cakes, milk and butter. Love to come again." The P Family:"We have a family tradition of visiting Snowdonia every other year and found your house is the best we have ever stayed in over the last 20 years or so. 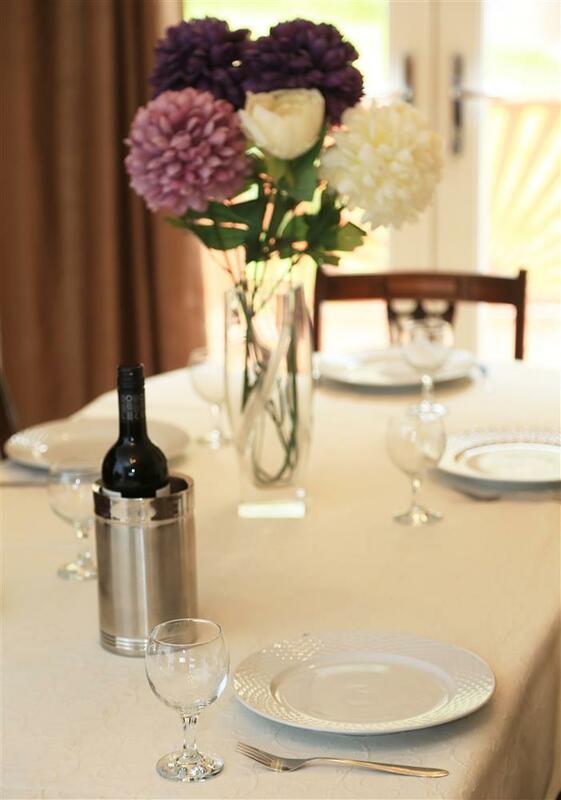 It is ideal for a larger family group and perfect;y located"
Mr & Mrs P: "Thank you for allowing us to stay at this beautiful place. It was a pleasure spending time in this well maintained and tastefully built house. It was indeed one of the best weekend getaways. To top it all, the owner has been really friendly and helpful!" The K Family: "We have thoroughly enjoyed our holiday in North Wales. 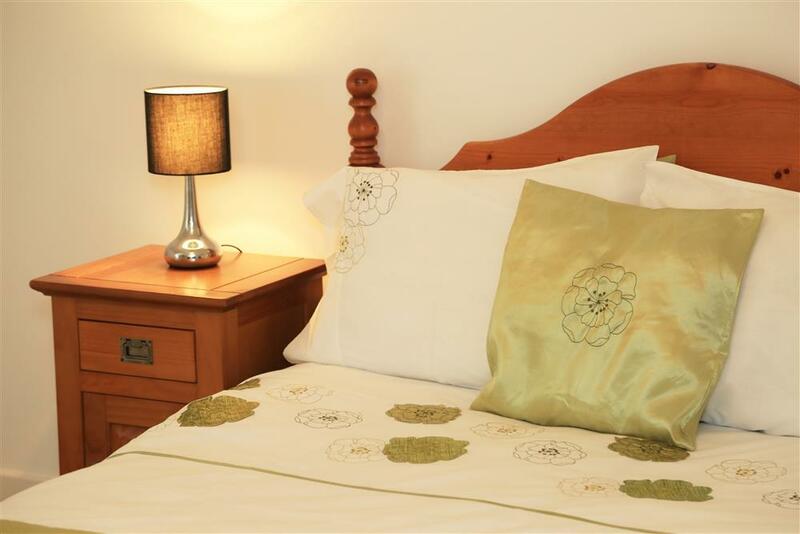 Our accommodation was excellent, very clean and well equipped. The location is perfect and with so much to do, locally and afar, it's certain that we will be returning." Mr J: "We have spent a very enjoyable week here. 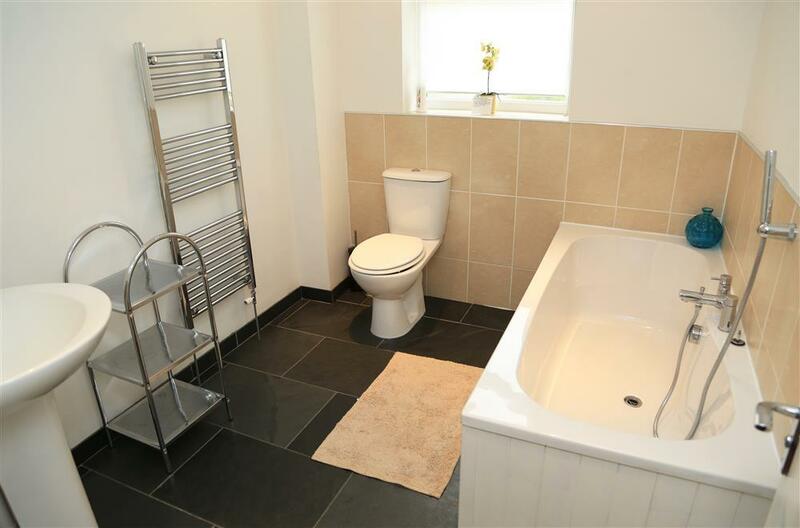 This is a beautiful house, well appointed and tastefully presented from the lovely floors to all the fittings. We have particularly enjoyed the breathtaking views from the kitchen and lounge windows. Thank you for your typically warm Welsh welcome, a friendly face and a cup of tea, not to mention the flowers." 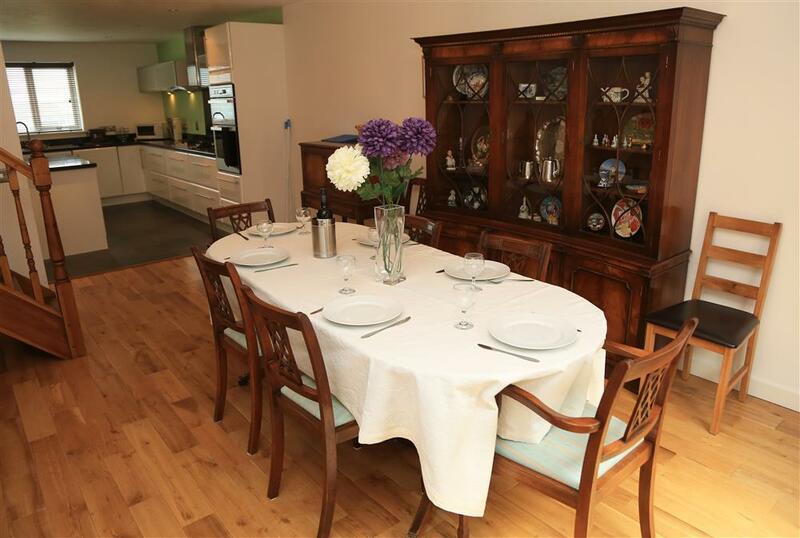 The C Family: "Wonderful week in a beautiful house that accommodated ten people so comfortably. The house, particularly the kitchen is a delight and the personal touch of flowers and milk in the fridge made a big impression. We hope to return next year." 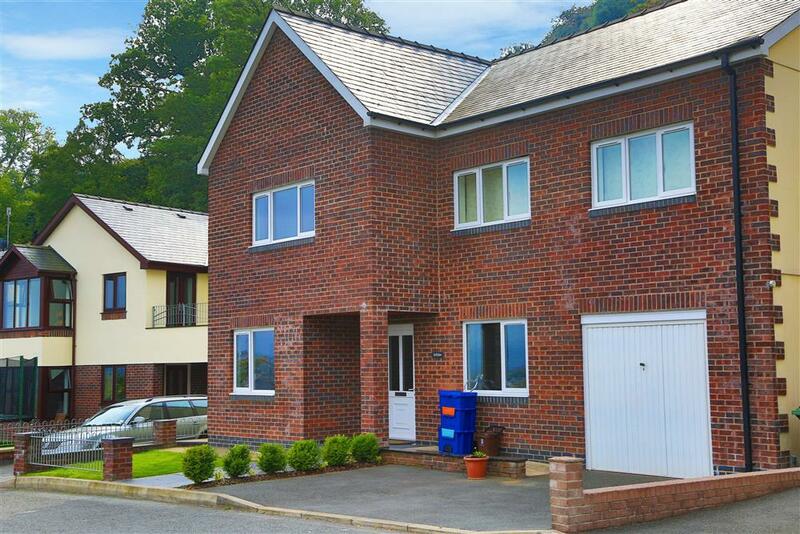 "Set in an elevated position a modern house with views over the town and towards the Snowdonia mountains." The road leading up to the property is steep. Parking is available on the tarmac drive for up to 2 cars and one car in the garage. No parking is allowed in the turning bay opposite the property. Additional parking is available on the kerbside. There is a step from the kerb to the path and another step to the front door. 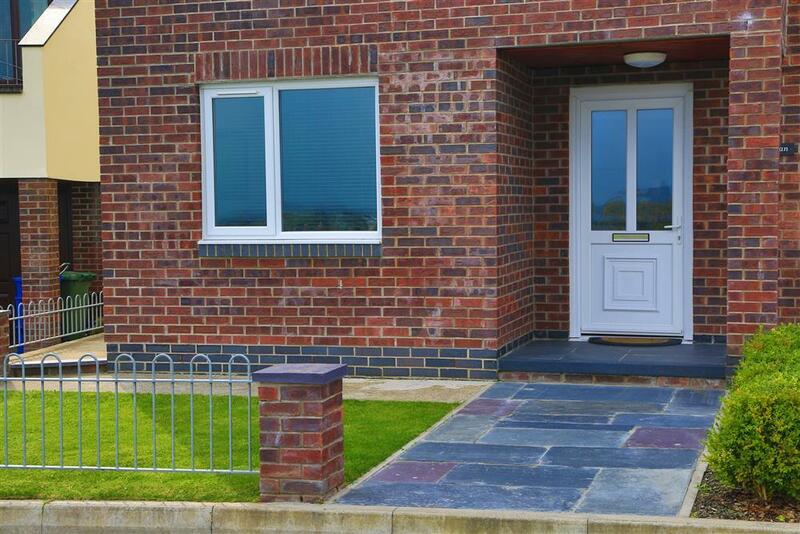 An alternative sloping path is available leading from the drive to the front door, ideal for wheelchair users. The entrance is lit by an outside light. The floor covering inside the entrance has a coir mat well and short pile carpet. The hall,stairs and landing are well lit using ceiling lights. The floor covering on the stairs is short pile carpet. The staircase has 7 steps to a half landing 32" 810mm x 30" 776mm and then another 5 steps to the 1st floor. A flight of stairs from the dinning area lead to the 2nd floor. Open plan kitchen with an island leading through to the dinning area. Access is through the french doors into the garden, with a small step 6" down onto the decking. Spacious lounge with wall lights, ceiling lights as well as a lamp in the room. 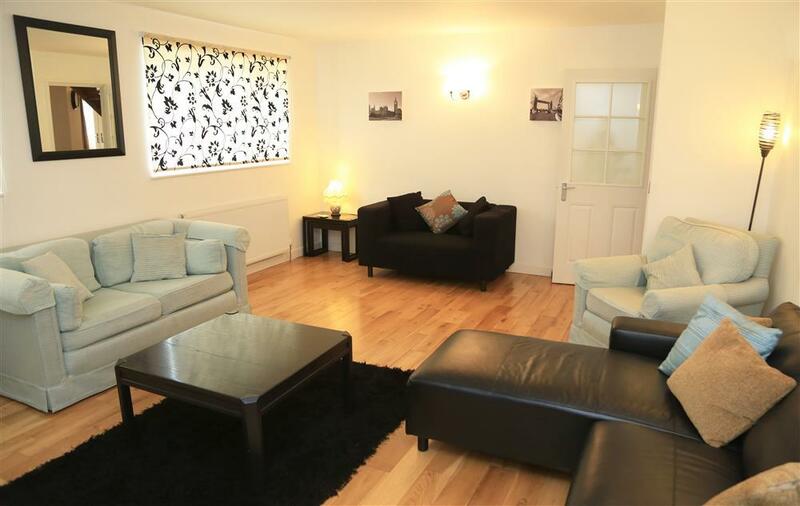 The room has plenty of seating with a mixture of sofas and a chair with arms. 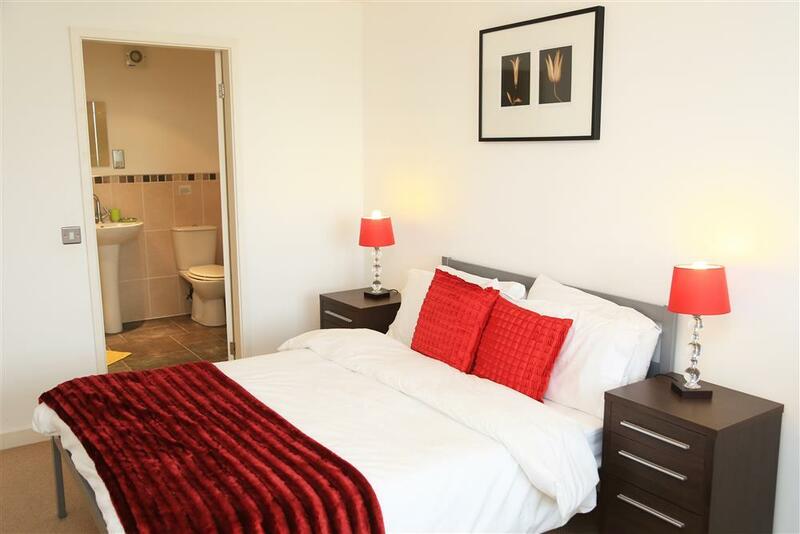 Only the ground floor bedrooms have en-suite bathrooms which have the following: WC and wash hand basin. 900mm quandrant shower enclosures, with access over the bottom frame. Access to the bathroom is on the 2nd floor. The threshold is slightly raised, incorporating a bath,WC and wash hand basin. 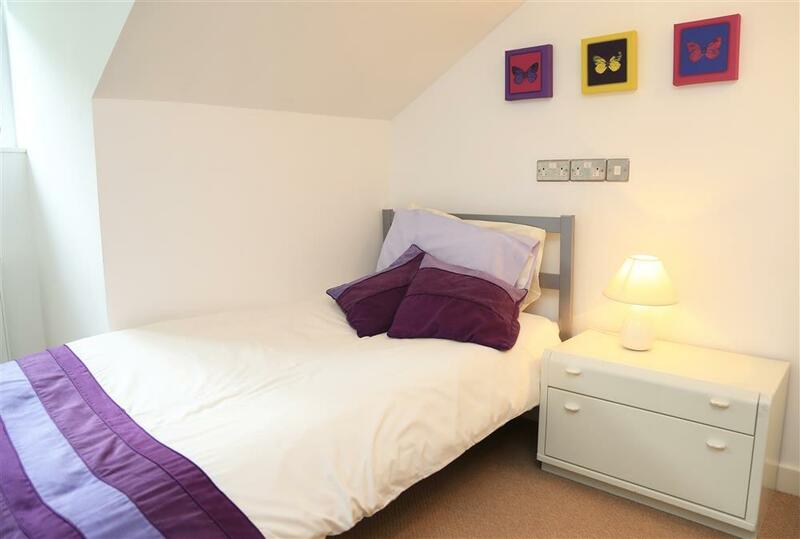 There are two double bedrooms on the ground floor, with step free level access from the front door. 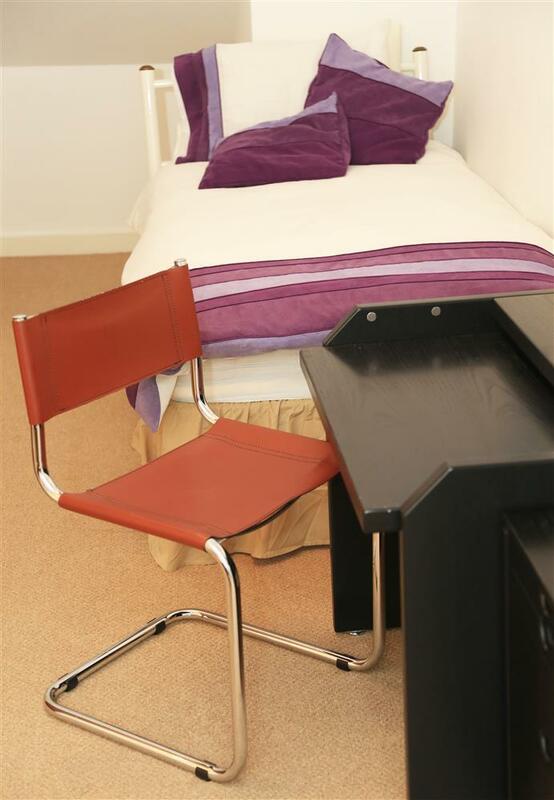 There is a double bedroom and another bedroom with two single beds on the 2nd floor. 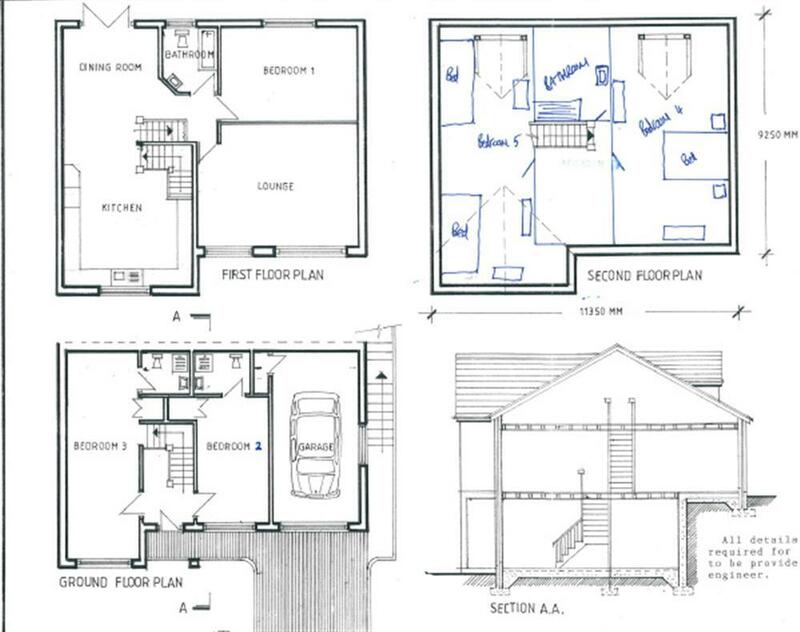 There is one double bedroom on the 1st floor which is the dame floor as the living rooms and one bathroom. All bedrooms have short pile carpet and offer good access. 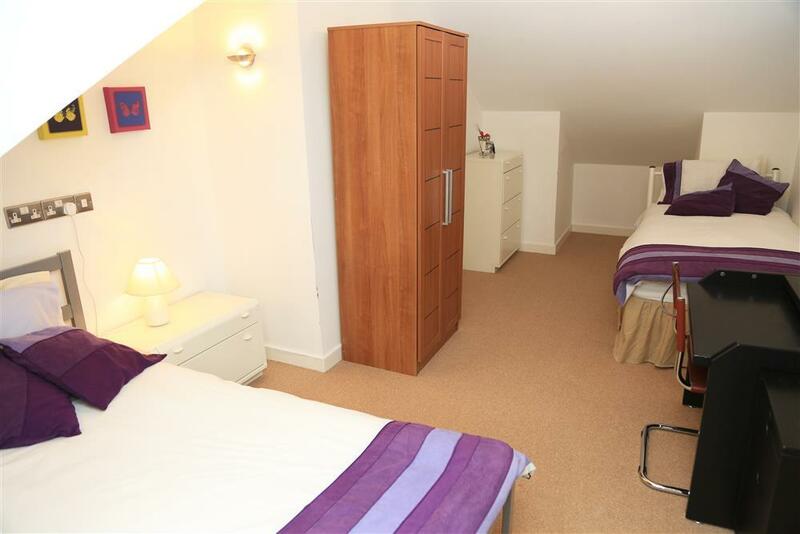 Ample wardrobes and bedroom furniture. Lighting is natural daylight and at night ceiling lights. Bedside lamps are also in each room. There is a decked patio area which can be accessed from the dinning area by one step. 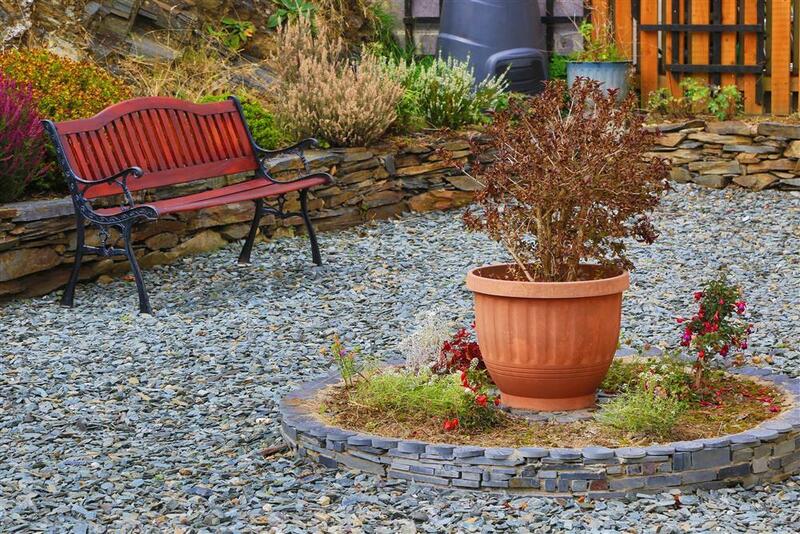 Stepping down from the decked patio onto garden which is mainly lawn with blue slate chippings. The garden has a stepped lawn and is banked (not suitable for unsupervised young children). Side access through a wrought iron gate from the decked patio leading down 7 concrete steps to a halft landing plus 6 concrete steps to a side pathway leading to the front of the property. Galvanised hand rail runs down both sides of the concrete steps. How many nights? 3 nights 4 nights 5 nights 6 nights 7 nights 14 nights 21 nights How many adults? 0 1 2 3 4 5 6 7 8 9 10 How many children? 0 1 2 3 4 5 6 7 8 9 10 How many infants*?